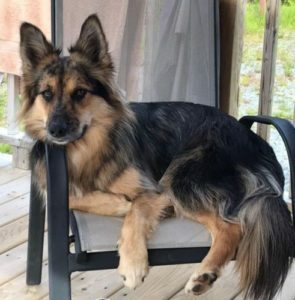 Additional Notes: FEMALE: German Australian Shepherd, 19 months old, dark coat with tan markings, not wearing a collar, microchipped, friendly but skittish. DO NOT YELL – she was spooked by thunder. NAME: Shiloh She went missing on July 6/18.